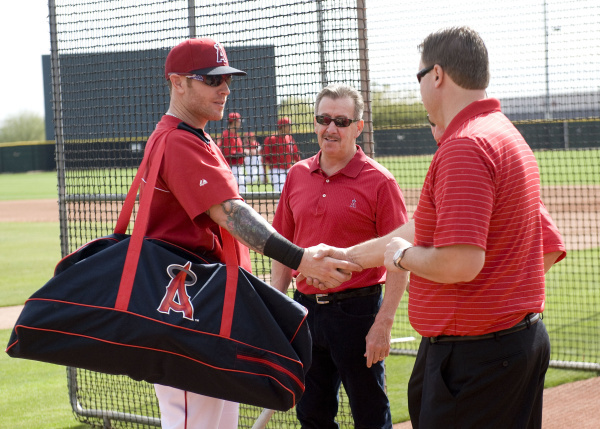 The relationship between the Angels and Josh Hamilton is tearing apart at the seams. Team owner Arte Moreno claims it has nothing to do with money. OK Mr. Moreno. Prove it. Cut Hamilton. Eat the money. I challenge the owner of the Angels on Episode 902 of The Sully Baseball Daily Podcast. Miguel Cabrera, Nathan Karns, Zack Greinke, Andrew McCutchen, Cody Ashe and Adam Jones all added to their totals for Who Owns Baseball? This entry was posted in Alex Rodriguez, Los Angeles Angels of Anaheim, Sully Baseball Daily Podcast and tagged Arte Moreno, California Angels, Detroit Tigers, Kansas City Royals. Bookmark the permalink.